Om Mani Padme Hum is a very important Buddhist mantra. 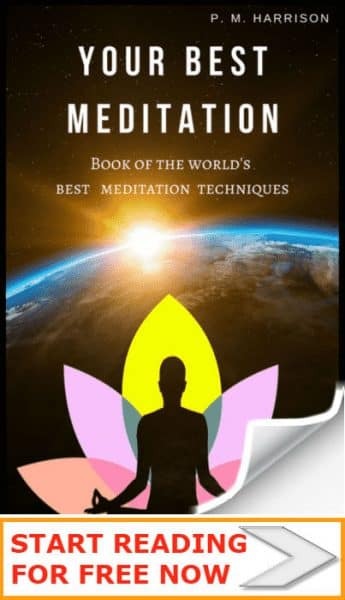 In THE DAILY MEDITATION’s tutorial on Mantras we revealed all the most important mantras in the world. And “Om mani padme hum” is perhaps number one. You have likely heard Buddhists chanting this mantra. And you may have seen it in art and etched in statues. But what does Om Mani Padme Hum mean? It is the mantra representing the path to enlightenment. Buddhist mantras have specific meanings, just like Buddhist mudras do. Each word in the mantra has its own meaning. Om: a sacred syllable that you can find in lots of Indian religions. Mani: means “bead” or “jewel”. Padme: means “lotus flower”. Flower? Yup. But not just any old flower. The lotus flower is the sacred flower of Buddha. Put all that together and you get the meaning of Om Mani Padme Hum. So what does it men in English? Om Mani Padme Hum in English means various things depending on the school of Buddhism that it’s coming from. But it generally means, “The jewel is in the lotus”. This makes more sense when you consider what happens when you actually chant this mantra. Go ahead and start reciting “Om Mani Padme Hum” now. Here’s what happens when you recite the mantra. When you say “Om”, you are making the sound that represents purity. Purity of body, mind and speech. 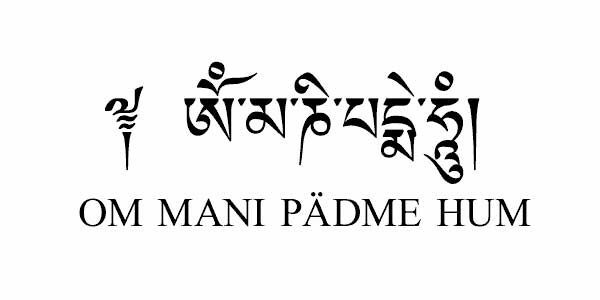 You then say “Mani Padme Hum”. And these words represent the path. Mani means love and compassion. Translate this and it reads, “Be pure in body mind and speech. Follow the path of wisdom with love and compassion. Buddhahood will result”. In other words. If you want to make it to become a Buddha, follow the wise path of dharma with love and compassion. The pathway to enlightenment is expressed through the mantra Om Mani Padme Hum. Essentially, what Om Mani Padme Hum is saying is that if you want to achieve the highest state of your being, you must live an enlightened life, speaking, acting, and behaving in an enlightened way, with love and compassion for all. This is the way to your highest self. Nothing is more important than compassion. Take a look at this guide to Karuna (compassion) meditation to learn why. As the Dalai Lama said, “We can live without religion, but we cannot live without human compassion”. That’s why we need to do our all to make sure that we are compassionate to everyone. We must act in an enlightened (noble and pure) way in body, mind and speech. Only by being accountable for our own actions can wereally being to make a positive impact in the world. Be conscious of yourself and your actions. Then you’ll achieve your highest self. Thank you for your well informed description of the most wonderful mantra.